Frequently Asked Questions - Save-A-Life, Inc.Save-A-Life, Inc.
What should I do if my pet swallows something poisonous? 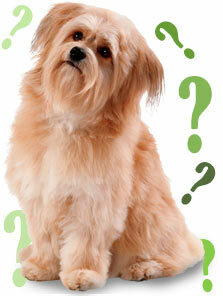 Where online can I go for further information regarding my pet’s health care and medication? I am getting a new pet for the first time. What do I need to know? I love my pet but it has developed some behavioral problems. What can I do about them? How can I volunteer with Save-A-Life? What do I do if I can no longer keep my own dog or cat? Please go to our Lost and Found page. If an owner is not found, you can adopt the pet out through our Pet Placement Program. Your first and best source is the veterinarian who cares for your pet. Having said that, there are numerous resources online. Just be sure you are using a reputable site. There are many websites available to help you (but don’t forget your veterinarian either!). I love my pet, but it has developed some behavioral problems. What can I do about them? Visit the ASPCA’s page on pet ownership costs.